If there is one complaint many readers feel about Indian writers it is that they are depressing. Poignant and seemingly literary tales that rely heavily on the oppression factor to lend it weight whilst proportionately extracting from its readability . However, in the process of general discrimination, books striving to carve a niche for themselves are missed out on. These books thrill and chill with comic relief. A slow but steady stream that will in a few years time become a genre unto itself, domestic thrillers are gaining steady ground. 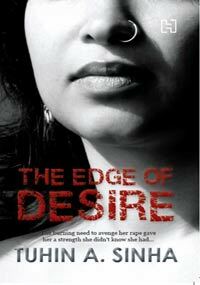 One of the best contemporary ‘ easy-read’ thriller by an Indian Woman in recent years. Well written, well researched and gripping, this modern day historical thriller has it all. The first novel to feature Mehrunisa Khosa. On her return to India Mehrunisa starts work with her godfather, an eminent scholar on Taj Mahal. One night she discovers the body of the Taj supervisor, slain according to Sharia law, and the Quranic calligraphy on the tomb of Queen Mumtaz altered to suggest a Hindu origin of the Taj Mahal! Mehrunisa’s investigation of the Taj conspiracy reveals several threads: Islamic militants are planning an attack on Taj to coincide with the visit of the US President, while a Hindu right wing party looking to reverse its electoral loss is ratcheting up its anti-Muslim agenda by discrediting the famed Muslim monument. In a series of suspenseful twists and turns, the action traverses from the warrens of insurgent Peshawar to the serene splendour of Taj Mahal in Agra, from intrigue-laden corridors of Delhi to snowy Himalayan hideouts. Can Mehrunisa unmask the culprit in time to prevent a major catastrophe. 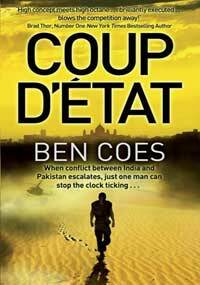 The wait is over—Ben Coes, whose debut Power Down was called “the must read thriller of the year” (Vince Flynn) is back and at the top of his game with a mesmerizing new novel. RATED THE BEST THRILLER OF THE YEAR.A MUST READ. Powerful and well researched, the book jumps right from the first page. In its relentless action paced narrative, the consequences and implications of war between India and Pakistan are vividly and analytically portrayed. Ben Coes- the former speechwriter for George W Bush, brings his wordsmith talents and how! Coupled with exhaustive insider political know how and its inner functioning’s, he uses his knowledge to create lifelike fiction. Satyajit Ray requires almost no introduction. India’s greatest director of artistic cinema with suave style and substance was also a noted translator and writer. 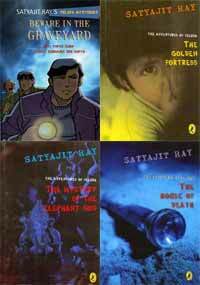 The Feluda series are a rather adorable desi Sherlock Holmes with originality. Feluda moves up from amateur detective to famous professional detective whilst solving ingenious crimes with a startling display of logic. Thirty-ish , bright and enthusiastic, his interests include jujitsu, yoga, geometry, space travel and anything in between. He solves crimes with his younger cousin Tapesh who is the ever helpful assistant and travel companion. The stories are well translated and capture the Bengali artistic strain beautifully. 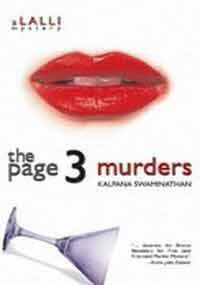 From India club- Every Homicide file has one last blank page marked LR. That page is meant for Lalli… Sixtyish and silver-haired, she’s officially retired from the force, but she’s still their Last Resort when it comes to solving a murder. When Lalli’s niece finds herself at Hilla Driver’s seaside villa for a foodie weekend, murder is the last thing on her mind. She’s too busy falling in love with the cook. Also present are a number of Page 3 regulars: a best-selling novelist, a jazz dancer, a broken-hearted model, a fiery feminist with a dramatic past and a respectable housewife with a sordid one, a doctor with a fashionable practice and an industrialist with a yen for horses...Each with a secret waiting to spill. It should have been a great party. But the cook serves up more than food at the Millennial Banquet. There’s murder on the menu and luckily for Hilla, Lalli takes charge. For Lalli is not your ordinary houseguest. Kalpana Swaminathan’s other novels include The Monochrome Madonna and The Gardeners Song. "The story looks askance at a strange but recurrent socio-political phenomenon typical of West Bengal: pre-modern superstition existing in the interstices of an enlightened political apparatus." Enthralling, compelling and utterly engaging, Basu’s world is an insightful, comical, absurd look into human foibles, supernatural laws and everything in between in the struggle betwixt a modern urban Bengal and its rural past. Amrita Sinha’s maid is a sly insolent creature, who hired to look after her young son, seems to have eyes for everything else but the job at hand. Maya’ stealing of oranges is relegated to the background as her more than casual interest in Sinha’s husband takes foreground. Soon, paranoid delusions and feminine temperaments take centre stage and Maya is dismissed. Or is she? Her death begins to haunt Amrita and soon the shifting sands of time and space collapse on each other. But is this a case for the witch hunters or the psychiatrist? Soon its upto Arka her husband, and a former lover to help untangle the mysterious threads of perceived reality that’s formed a shroud around Amrita’s conscious state. Pungent and barbed Basu strikes at the heart of Bengali truisms’, commie truths’ and the bhodrolokas. With smooth fluidity of thought and skill, Sinha proves with The Edge of Desire that he a writer to watch out for. The author, scriptwriter and columnist, (an underdog to lay your bets on when compared to writer’s like Bhagat and Tripathi) explodes with this shocking political thriller. Is a LokSabha ticket enough for being raped? Can a woman's humiliation change the destiny of a nation? It did in the Mahabharata. And it does, once again, in the lawless Bihar of the 1990s… When journalist Shruti Ranjan, newly-wed wife of the Deputy Commissioner of Kishanganj is brutally raped by a 'politically sheltered local goon', all her attempts at getting justice are crushed by a corrupt and complicit state government. That’s when the charismatic Sharad Malviya, a leading member of the Opposition party, offers her an unlikely solution: his party’s ticket to contest the LokSabha elections. Sharad will go down in history as one of the finest opposition leaders that the country has ever produced. His dynamic, effervescent persona and his no-holds-barred persistence became instrumental in bringing the first Nationalist League-led coalition to power. A pan-Indian appeal of zero-compromise on national security and the nation's self dignity, were what elevated him to this rare high pedestal. He was a brilliant orator and a superb motivational speaker. What follows is the exceptional first hand account of a woman fighting for justice through the tainted grounds of Indian politics. But when a betrayal hits to close to home, she ony has one choice. Give up everthing she has fought for or turn her back on her life and past. Gripping and compelling, it is a read that doesn’t scream to be heard. The Taj Conspiracy, the first of a three part trilogy, is highly compelling and befits the genre of a thriller very well. For author Manreet Sodhi Someshwar, it is a literary achievement with brilliant and engaging descriptions as well as a fast paced yet astounding plot. The characters of the story are diverse, yet easy to associate with and envision as actual people. The author promotes a feeling of tension by creating intricate relationships based on love, hatred, as well as revenge. This book revolves around a shocking discovery at the Taj Mahal, and although it deals with controversial issues, the author has handled them responsibly; the story has a stunning and unpredictable conclusion reminiscent of even modern day India. The plot has no lack of fast paced action and some serious fighting scenes that left me openmouthed, desperately flipping through pages. The riddles and puzzles in the story befuddled and engaged me as much as Mehrunisa, the strong willed protagonist of this book. 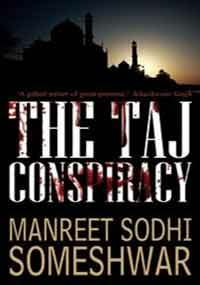 With the Taj Conspiracy, Manreet Sodhi Someshwar had set the bar high for her sequels.